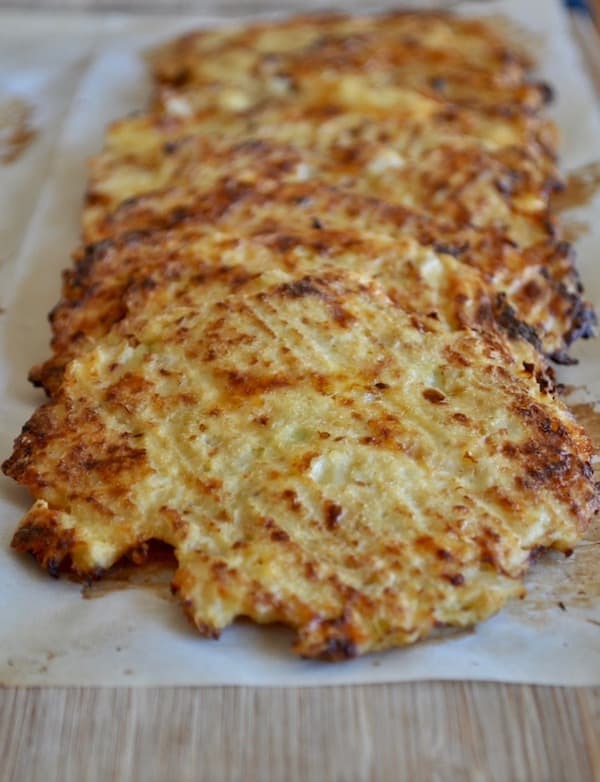 When you’re eating a low carb diet, whether because of diabetes or you just want to lose weight, one thing you’re probably going to have to give up is the tortilla. I know! So sad but you can do it, and I can make it easier for you! 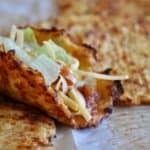 I’ve created what I consider to be a fair substitute for the tortilla with my Low Carb Tortillas made with cauliflower, they’re a soft keto taco shell that is oh so perfect for taco night. 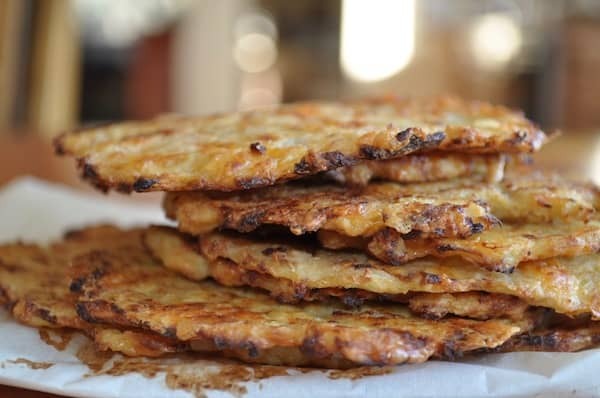 It doesn’t sound tempting in the least but I know if you’re low carb or going low carb I can tempt you with these numbers: 2 regular corn tortillas 20-47 grams of carbohydrates vs. two cauliflower tortillas coming in at 5.5 grams of carbohydrates. Yes, they DO take work but facing the prospect of no taco night with the family. Or being subjected to just taco salads for taco night, then the work it takes will seem completely worth it. 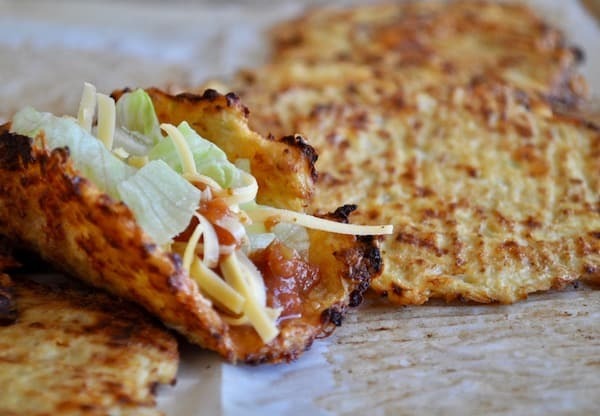 These amazing tasting Low Carb Tortillas are a great choice to help cut carbs. Everyone in our family loves them even though most of them can have regular tortillas no problem; they will choose these. When I have enough of them made I gladly share them. If not then they might get one or two if the low-carbers are willing to share. It’s always up to whoever is eating low carb though. If they don’t want to share, they don’t have to. If you eliminate the carbs in tortillas, then tacos can be very low carb. Just use good lean meat, try my salmon for tacos recipe, spicy salmon or ground beef of chopped chicken breast. Add avocados or guacamole for fat and flavor, greens of your choice, shredded cheese, onions, and a dab of salsa or tomatoes. Just because you're on a low carb diet doesn't mean you need to give up Tacos. Try my recipe for Low Carb Tortillas and you'll NEVER miss out on Taco Tuesday again. So excited to get back to Taco Tuesday! I have been using lettuce leaf wrappers but it’s not the same…. These are a GAME CHANGER I enjoy beef, guacamole and olive tacos every taco tuesday! Think I will try by making my own cauliflower rice! What a great idea and they sound even better than normal tortillas!! !